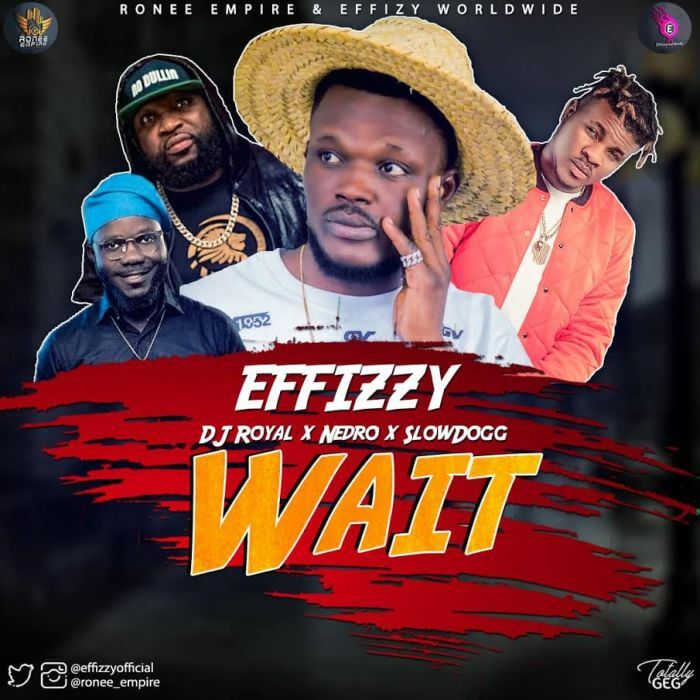 Ronee Empire and Effizzy Worldwide Entertainment present the best collaborative single from #Effizzy, DJ Royal, #Nedro, and #Slowdogg titled “Wait“. Ifeanyichukwu Igwenagu Stephen a.k.a “Effizzy” hails from Agwu Local Government Area in Enugu State. He is the CEO ‘Effizzy Worldwide Entertainment’ and under the management partnership of Ronee Empire. His first official single of 2018 was produced by one of Africa’s popular producer – Kezyklef, mixed and mastered by Granmix.